Dhaka League T20 - Play Cricket! 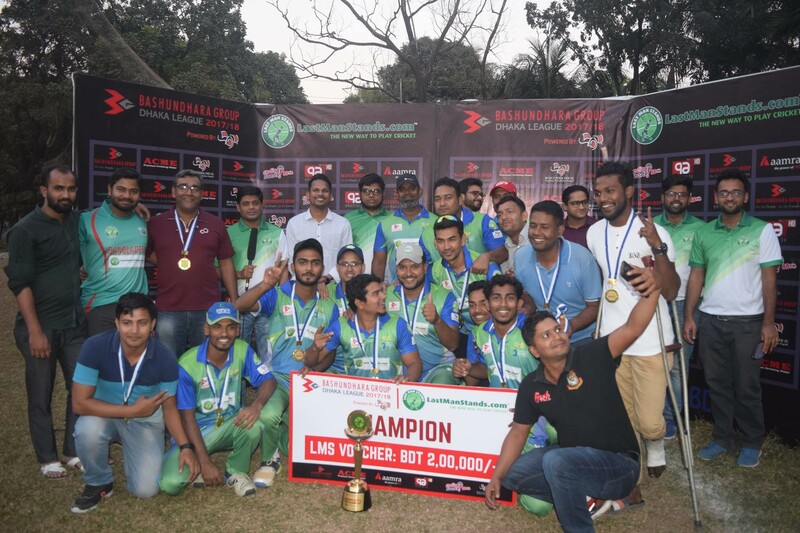 Current champion Hoque Brothers will be looking to defend their Dhaka League title against some of the best teams of the country this season. No players will be allowed to participate who have played in these leagues between Dec 1st, 2016 until the start of the tournament. Registration for Dhaka League 2018/19 is now open! 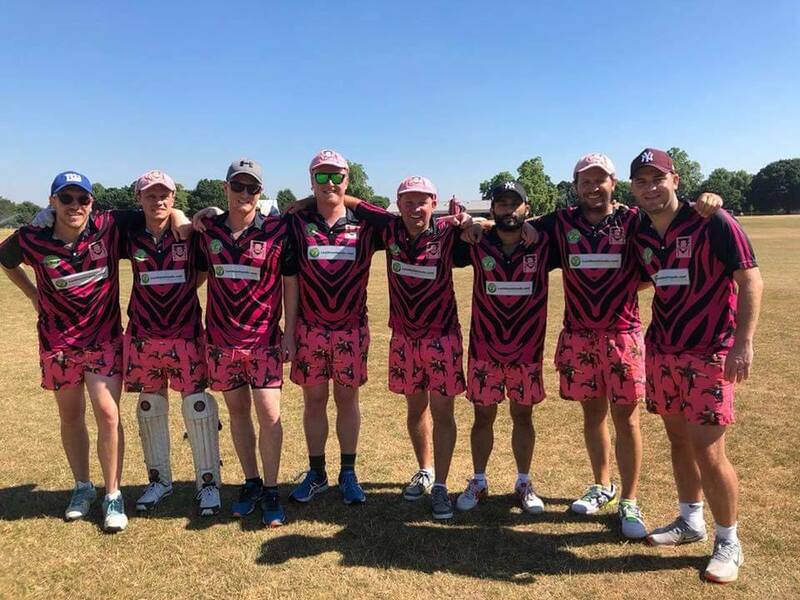 The most popular league in the country for social cricketers. Last Man Stands Dhaka League. will be starting from the mid-week of October. Dhaka League is currently categorised into three divisions. i.e. Premier League. League 1. 2 and 3 to suit all sort of teams. whether you are really serious about your weekend cricket. or you are trying to improve you game or if you are just trying to have a fun time with your mates at the field. Last Man Stands is truly for all cricket lovers. 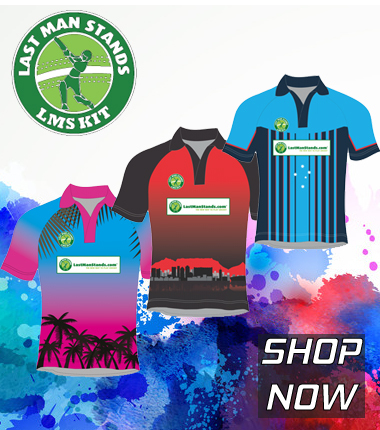 * Each team will receive 10 LMS Jerseys (Sublimated) and each individual will receive 1 LMS Jersey (Sublimated) free with registration. If you are registering a new team/player. click the "Register" button above. 1. Each team will get minimum 6 matches in the league. 2. Winners of each division along with few more top teams will participate at Dhaka Champions League. format to be announced prior to the the start of the tournament. 4. The divisional line up should all teams from last year participate has been given below. 5. No new teams will be allowed to participate directly in the Premier League. incase a Premier League team drops out and there is a spot in the league. the highest ranked team from League 1 will get the spot in Premier League. 6. If a team from League 1 onwards don''t participate or there is a free spot in a particular league (except for Premier League). then the highest ranked side from any of the League below will get a spot. 7. If any team want to play in a lower division than they have been seeded. team captain/manager will have to send us a written request. 8. If a new strong team registers in the league. they may get a spot in League Two/Three depending of availibility of spots in that particular league. 1. The Winner of Champions League will receive LMS Voucher worth BDT 2.00.000/- (which can be redeemed for entry in our local league(s) until November 2020)* .and an exclusive trophy. each member of the team will also receive Champion medal. 2. The Runner-up of Champions League will receive LMS Voucher worth BDT 1.00.000/- (which can be redeemed for entry in our local league(s) until November 2020)*. and each member of the team will receive Runner-up medal. 3. Batsman and bowler of the tournament will each receive an exclusive gift. 1. Each team can register maximum 16 players in their squad. and one individual player can play for one team only in the league. 2. No players from Category A. B. C & D. who have played a match in that category on or after Dec 1st. 2016 until the start of the tournament. will be allowed to participate at Dhaka League 18/19 at any circumstances. 3. A player must play at least 2 games in the starting 8 in the 1st Round (League Stage) to be able to participate in the Champions League (Knockout round). otherwise the Ringer rule will be applicable for them. i.e they can bat at no. 8 and bowl upto maximum 2 overs. 4. No misbehaviour or disrespect towards match officials/opponents will be tolerated at any circumstances. and teams can be penalised points in that particular match if any of their player is found doing so. 5. Any teams failing to comply with Rules 1-3 will find their team lose all the points in that particular match. and if they keep on breaking the rules continously. the team and the players concerned will be removed from the tournament and can receive up to 2 years ban from LMS Dhaka League. * LMS voucher awarded can be redeemed for entry in our local leagues such as upcoming seasons'' Dhaka League. Chittagong League. Bangladesh Open etc (but not in any international tournament. Junior/University League etc) until November 2020.